WIN Tickets to see “Jeremy Camp” LIVE @ Wild Adventures! Heaven 98.3 “Tallahassee’s Gospel Station” is giving you the chance to WIN a voucher for a family 4-pack of tickets to see “Jeremy Camp” LIVE at Wild Adventures on Saturday, May 4th! For your chance to WIN your way IN, keep it locked to “Doc D & Miss Monique in the Afternoon” April 24th – April 30th and listen out for the cue-to-call-in and when you hear it be caller #10 to WIN! Jeremy Camp LIVE at Wild Adventures! The All-Star Concert Series at Wild Adventures Theme Park continues Saturday, May 4 with platinum-selling artist Jeremy Camp, live in concert! Jeremy Camp live in concert at Wild Adventures on Saturday, May 4! The show is included with park admission or a season pass. Discounts are available for church and youth groups! Come early and play all day with the family at the brand-new Discovery Outpost and take a dive at Splash Island Waterpark! 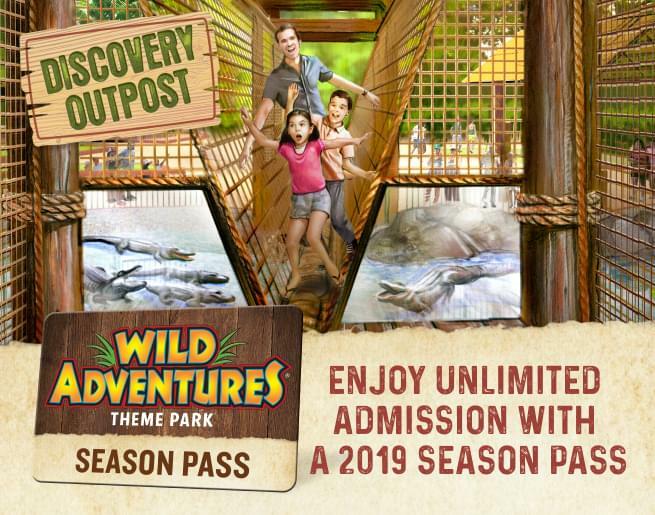 Get your tickets, season pass and group discounts now at WildAdventures.com!